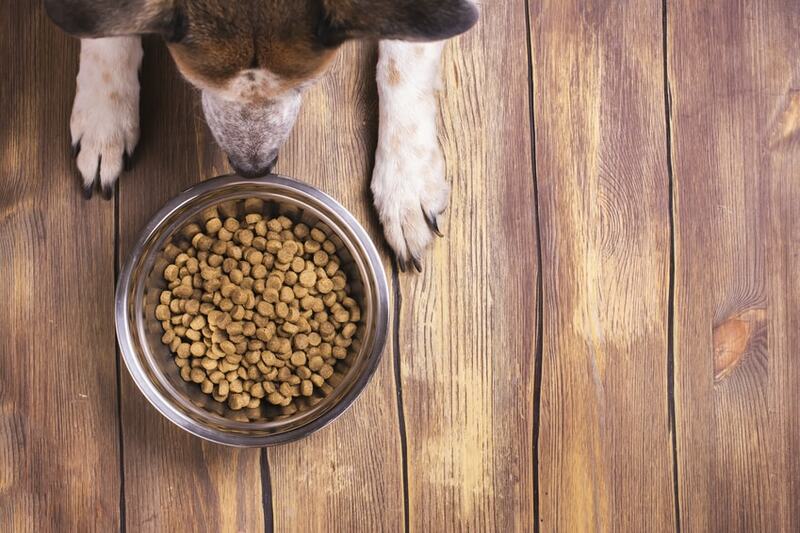 Limited Ingredient Dog Food: Does Your Dog Need It? Dog Food Guide > Dog Food > Limited Ingredient Dog Food: Does Your Dog Need It? I’m sure you’ve noticed that there are lots of dog foods that make all kinds of promises. Each one seems to claim it’s better for your dog than the next one. Most commercial dog foods today really are a big improvement over the dog foods that existed 40 years ago. There’s no debating that fact. The ingredients are better, largely because consumer attitudes about dogs have changed. People demand better ingredients for dogs today. However, not every dog needs every food with a gimmick. And some dog food manufacturers are guilty of using healthy-sounding gimmicks to sell their food. What are “limited ingredient dog foods”? By definition, limited ingredient dog foods refer to foods that contain one protein and one carbohydrate. They were developed for dogs with food allergies so veterinarians and dog owners could feed dogs on an elimination diet a “limited ingredient” meal. The idea was that you would remove all of the other ingredients from your dog’s diet and get down to the bare minimum of ingredients, feeding only a couple of ingredients that your dog had not previously eaten (a “novel” protein). After going through this elimination diet, you and your veterinarian could slowly begin introducing other ingredients (one at a time) to find out your dog’s food triggers. At least, this was the original meaning of “limited ingredient” dog foods. I know this because I was cooking lamb and rice for a dog with a food allergy in the 1980s and working with my veterinarian to diagnose my dog before limited ingredient dog foods existed. Lamb was one of the original “novel” proteins used in limited ingredient dog foods but once dog food manufacturers caught on to the idea, they expanded to include exotic meat proteins such as kangaroo, venison, bison, and others that we have today. Today dog food manufactures also use many different kinds of carbohydrates in their limited ingredient dog foods. You may find potatoes, sweet potatoes, tapioca, and other things. Ask a veterinarian and s/he will probably still give you this basic definition of a limited ingredient diet. However, many, if not most commercial limited ingredient diets today contain a lot more than just one protein and one carbohydrate. Many of them contain several proteins, though they may be related in some way (turkey, turkey meal, turkey liver, for example). And they may have several different carbohydrates, including vegetables and fruits. Vegetables can be very high in carbohydrates. The foods usually contain added vitamins and minerals, though this is not new. But they may also contain lots of probiotics and prebiotics which dog food manufacturers have started adding in the last few years. The foods may also contain various supplements. All of these things may sound very healthy and appealing when you read the dog food label but the food is no longer really a “limited ingredient” diet. If you are trying to avoid various unknown ingredients that might trigger an allergic reaction in your dog, today’s limited ingredient dog foods with a couple of dozen ingredients are questionable from a health viewpoint. It can be challenging to find a real limited ingredient diet with just a few basic ingredients if that’s what your dog really needs. For example, consider the ingredients in Wellness Simple Limited Ingredient Diet (Turkey & Potato). I’m not picking on Wellness Simple. It’s a popular limited ingredient diet. But you can see that it contains turkey and turkey meal, peas, different carb sources, tomato pomace, ground flaxseed, chicory root extract, fermentation products, as well as the usual added vitamins and minerals. If your dog has food allergies and you’re trying to determine what is causing them, this food would not be very helpful. The limited ingredient diets from Natural Balance are also very popular and they have a wide range from which to choose. L.I.D. Limited Ingredient Diets® Sweet Potato & Bison Dry Dog Formula is grain free. It has several carbohydrate sources but it does contain one meat protein source (bison). However, it also uses pea protein. Natural Balance does have the benefit of using fewer ingredients than most other limited ingredient diets. There are plenty of added vitamins and minerals but they leave out the supplements and probiotics/prebiotics (fermentation products) that can be risky if you are feeding a dog with food allergies. Probiotics and prebiotics are good for many dogs but if you are trying to determine what might be triggering an allergy in your dog, you’re probably better off without them. One of the issues to watch with limited ingredient diets is the protein percentage. Many of these foods have a lower protein percentage than you will find in other premium dog foods. Some of them use a lot of pea protein or plant protein in general. If you feed one of these foods you should pay close attention to your dog’s digestion and stool. If your dog has soft stool or diarrhea, it could be due to the plant protein in the food and not necessarily because he is having an allergic reaction or food sensitivity problem from eating it. Many dogs have problems if there is a lot of plant protein in their food. Try feeding a food with more animal protein – as long as your dog is not allergic to it – and see if the problem resolves. If you can’t find a commercial limited ingredient diet that works for your dog, talk to your veterinarian about prescription diets. This would be a last resort since these foods are more expensive than commercial foods, but you would be more likely to find a limited ingredient diet that is actually formulated with limited ingredients. Royal Canin makes several limited ingredient diets that are formulated with different novel proteins. They are pricey but in some cases this is what a dog needs – unless you want to cook for your dog yourself. You can make your dog’s meals yourself. It’s not as hard as many people assume. You just need a couple of good books to guide you and you can oversee everything your dog eats. But that’s a topic for another time.